During one wild night in college, Jentry Michaels is a tidal wave of ink that brands Aurora Wilde's soul. An unparalleled stain she can't forget despite the many months that have passed—and despite the distraction she'd hoped she would find in her new relationship with Declan, the charmer who captured her heart soon after. Jentry has irrevocably touched her soul, and he is intertwined in her present and future in ways she never fathomed. Now Aurora is faced with keeping that night hidden though it feels as if the ink has indelibly etched their story across her skin. 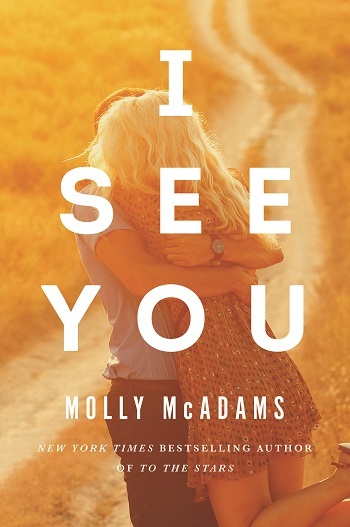 Molly McAdams grew up in California but now lives in the oh-so-amazing state of Texas with her husband, daughter, and fur babies. Her hobbies include hiking, snowboarding, traveling and long walks on the beach…which roughly translates to being a homebody with her hubby and dishing out movie quotes.